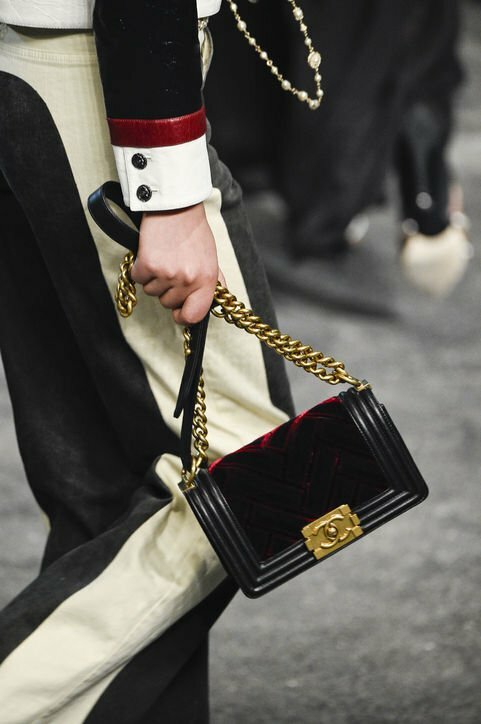 Introducing the Chanel Cruise 2018 Runway Bag Collection. 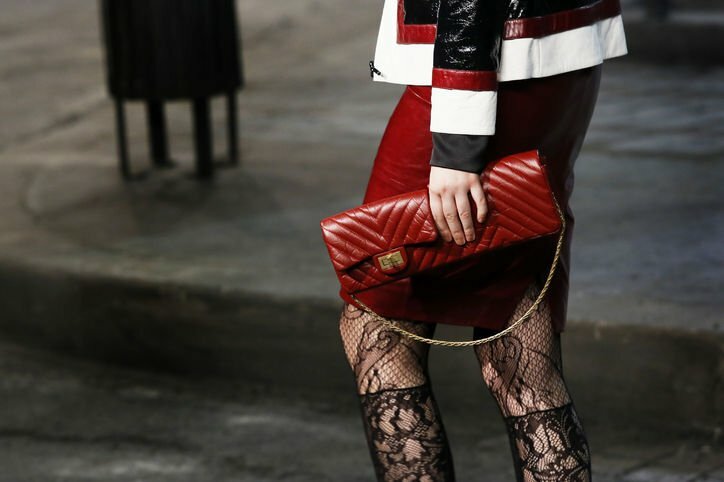 After presenting the previous Cruise Collections in Dubai, Seoul and Havana, Karl Lagerfeld has returned to Paris to hold the brand’s latest collection. The Cruise 2018 features an Ancient Greece theme, with a collection entitled “La Modernité de l’Antiquité” or “The Modernity of Antiquity”. The Grand Palais has been transformed into a replica of the Parthenon and Temple of Poseidon. Karl Lagerfeld has taken his inspiration from a bust of Venus in Coco Chanel’s apartment, creating a beautiful ancient collection. Models were seen in draped gowns, tweed dresses and gladiator sandals with Greek column heels. The handbags includes a variety of drawstring bags in different sizes and colors. The Gabrielle Bag returns this season in new colors and materials. 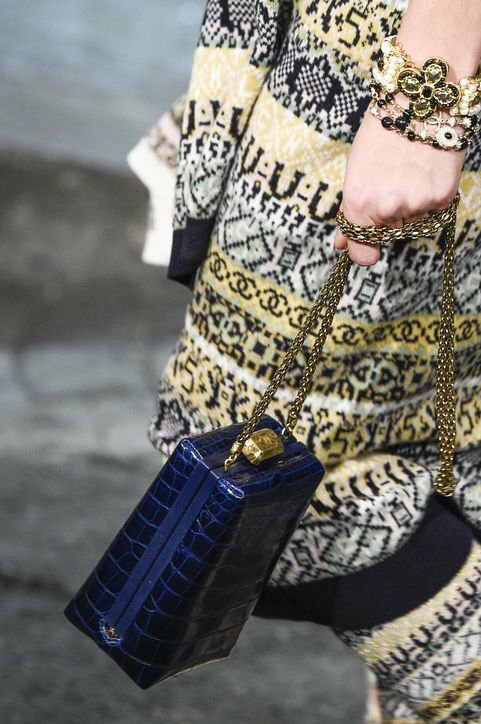 Clutch bags in different patterns were introduced in the runway, as well as a new minaudiere which features an owl embellishment. 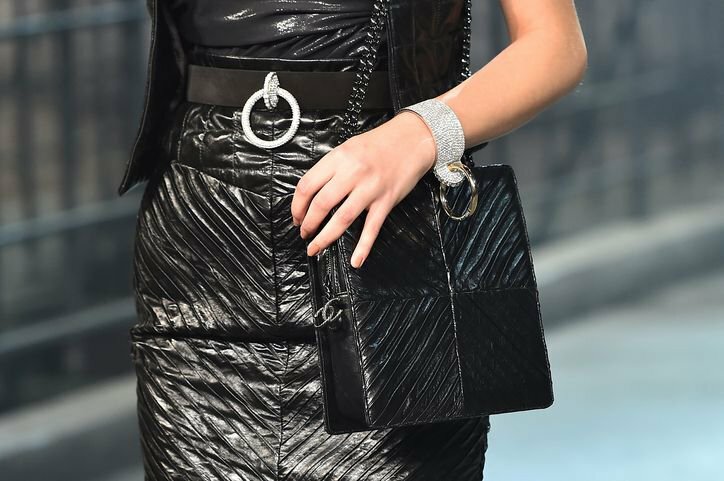 The Dior Runway Bag was the first big accessory debut of the post-Raf Simons era at Dior (on the runway, as the name would suggest), and I was, admittedly, a little suspicious of it. 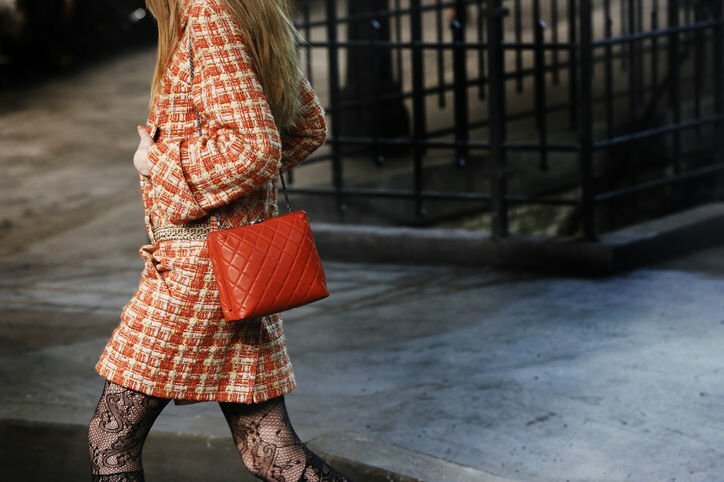 That was at least partly because of my immense affection for the bags created during Simons's tenure at the legendary French design house and sadness over his voluntary departure, but it was also motivated by the bag's proportions and how out of place it seemed with current trends. A couple months on, it's starting to grow on me. 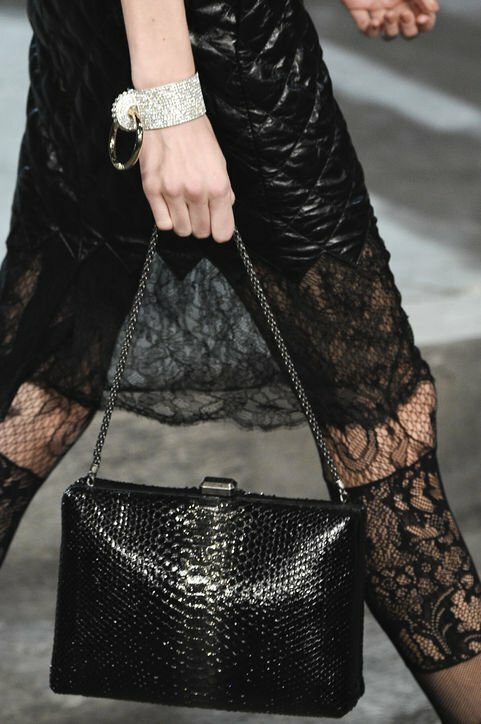 The bag, as you can see, is essentially a Lady Dior Bag made squat and long, which is similar to how Jean-Paul Gaultier changed the proportions of the Birkin to create the JPG Shoulder Birkin during his time at Hermès. Instead of converting the top handles into longer shoulder straps, though, the Runway Bag employs a separate, wide shoulder strap that is long enough to make the bag a true shoulder bag, but not long enough for shoulder carry. That strap, and the fact that the top handles fold down entirely to the bag's sides, are what have brought me around. The shape still feels a little awkward to me, likely because no one else is doing it right now, but there's something to be said for a willingness to get away from the saddle bags and chain-strap flap bags that have dominated store shelves for seasons. 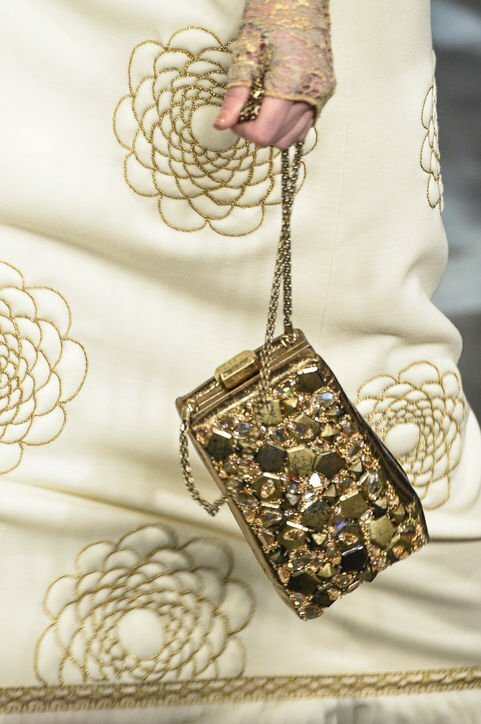 Sometimes a new thing only feels weird until your eyes get used to it, but sometimes that apprehension persists forever--the only way to know which way I'll ultimately go on the Runway Bag is to wait and see, but the ultra-embellished versions available now are gorgeous to look at.